Once commonplace and now highly specialised, we occasionally apply explosive demolition techniques to projects where the minimum amount of on-site disruption is the over-riding factor. 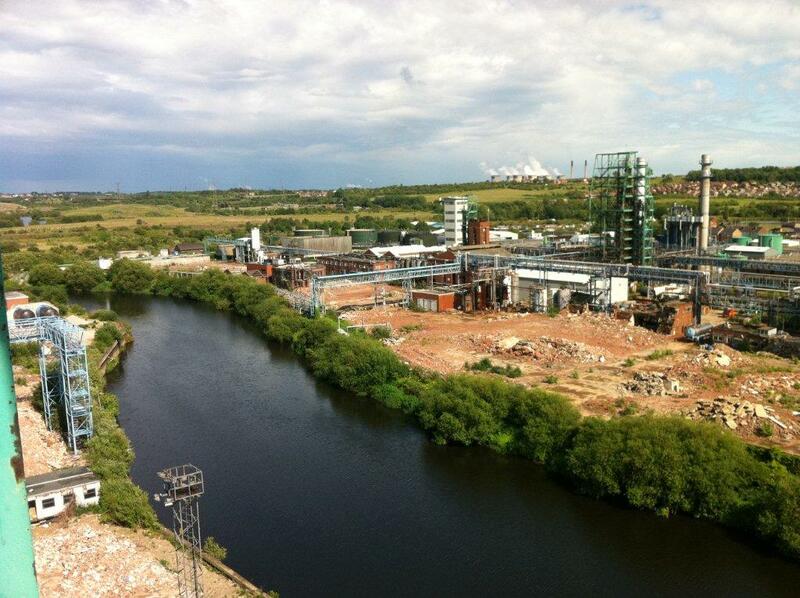 And so it was to prove with the removal of two, 58m high catalytic cracking towers from the former Hickson & Welch chemical processing plant within the Castleford Energy Village complex, adjacent to EON’s gas power turbines and close to the River Calder. This was a project that required close co-operation with two local police forces, fire brigade and British Waterways, taking six weeks to plan and just 10 seconds to execute. sand-bagging around the structures to control the direction of blast energy. This would ensure the towers fell in a precise pattern and location, utilising the restricted amount of working space available on site. Compared to weeks of heavy plant operating with hammers, pulverisers and concrete munchers, explosive demolition offers an accurate and efficient process of building removal.